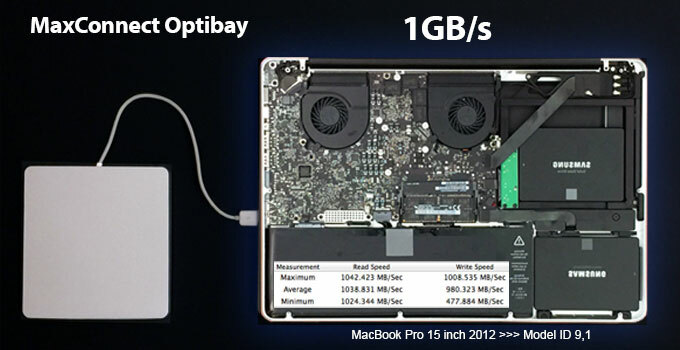 New OCZ Vertex 3 [with onboard SandForce® 2281 Controller], 240GB 6Gb/sec (SATA III interface) installed in MacBook Pro 17 inch 2.2GHz quad-core Intel Core i7 processor model, Sustained Data Transfer rate (Read/Write) exceeding 500+ MB/sec on a single onboard 6Gb/sec SATA Channel . 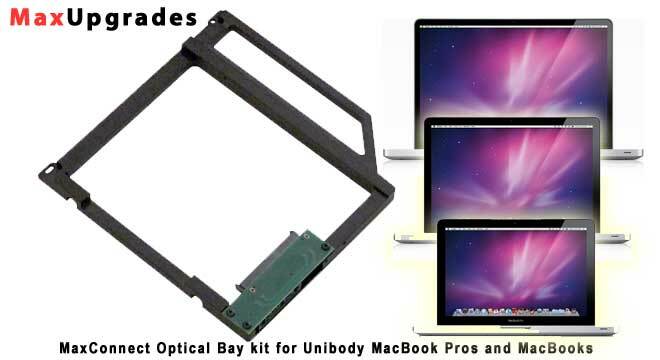 MaxUpgrades offers MaxConnect Optical bay kit to install second SATA hard drive in the Optical Drive bay of the Unibody Macbooks (13 inch Models) and Macbook Pros (13 inch, 15 inch & 17 inch Models) offering users two SATA Data Channels. Dual SSD Drives Test: 100GB OCZ Vertex 2 [Sandforce SF-1200 Series Controller] delivering unprecedented performance in RAID 0 configuration and pushing limits in both sequential and random read/write rates on a 3Gb/sec internal SATA Ports , these Transfer rates were achieved earlier on 4x 15k SAS Drives Striped RAID 0 configuration on a Mac Pro, [each Vertex 2 --- performance in 4k file writes up to 50,000 IOPS ], MacBook Pro 2010 Core i7 shown on the image. SandForce SF-1200 Series Controller based SSD drives are available in 400GB/200GB / 100GB /50GB Capacities with 28% over-provisioning, and 60GB/120/240GB/480GB are available with 7% over-provisioning. 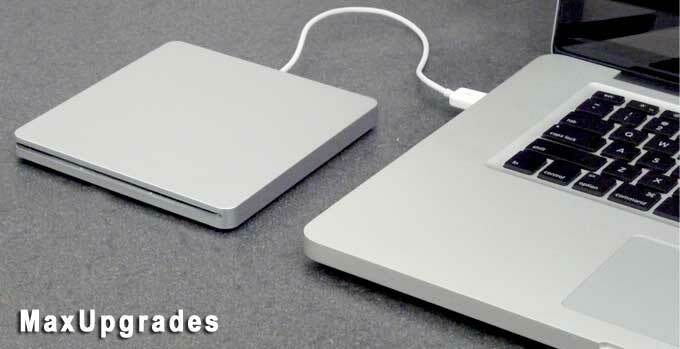 MaxUpgrades offers External Enclosure for the 9.5 mm Optical SATA Drive of the MacBook Pro Unibody Models, The Enclosure has eSATA and USB 2.0 interface and supports Auxilary DC Power for the Optical Drive. 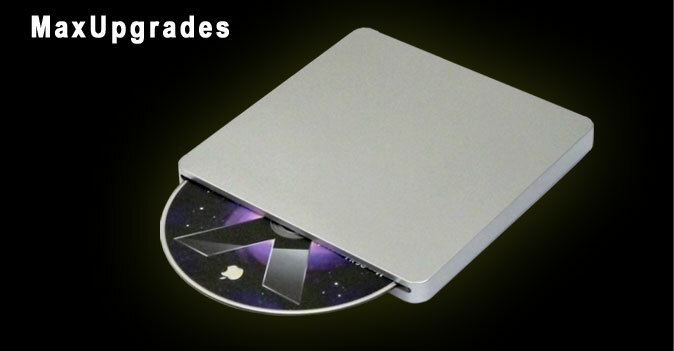 MaxUpgrades External Enclosure eSATA/USB for the Optical Drive to fit small form factor of 6 inch x 6-1/4 inch and only 1 inch high.